Gala’s works are full of colour and optimism. 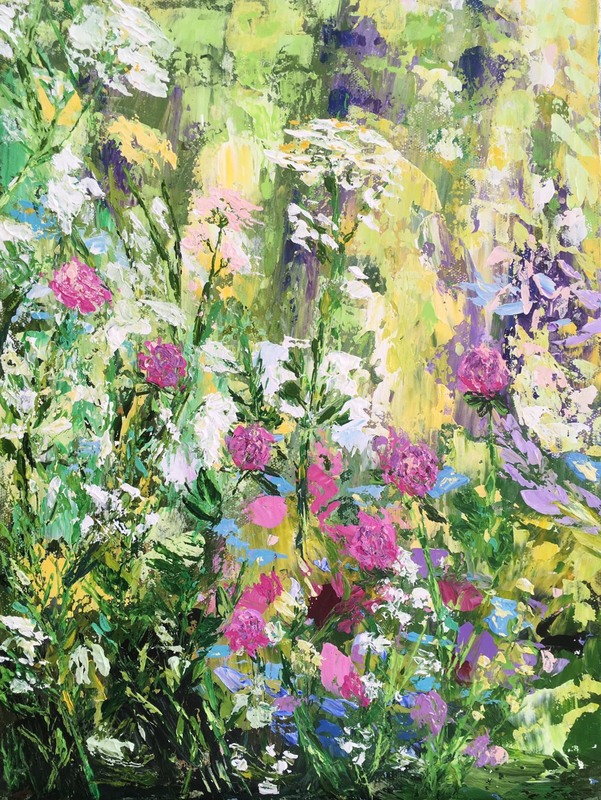 She uses pallet knife to create bright landscapes, beautiful flowers and abstract compositions. Her paintings are free, enrgetic with magic colour combinations and interesting textures filled with atmospheric light. Galyna works extensively in needlework and painting, her embroidery and art works are in private collections in Ukraine, Italy, USA, London, Lithuania and Russia. Her artworks are in Ukraine, Sweden, Spain, England, Italy, and USA.